You don’t need to give up “comfort food” staples on a Paleo diet. This recipe makes a simple ingredient swap for a healthy side dish. Add the cauliflower and simmer 15 to 20 minutes. Drain the water and return the cauliflower to the saucepan. Add the ghee and season to taste. Purée the cauliflower with a hand mixer until smooth. 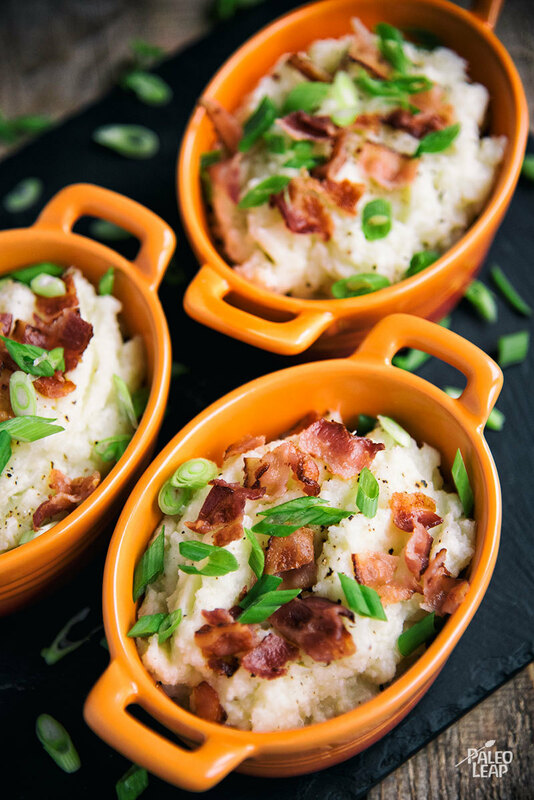 Serve the mashed cauliflower topped with the green onions and bacon.